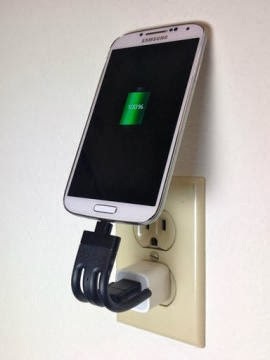 Your mobile phone battery is almost out of power, but you don't have a charging cable. Sound familiar? We all make room for our phones, but nobody wants to carry around a snarled cable. When these new cable concepts arrive, it will be easy to always have a jumper cable close at hand. The Jumper Card is the size of a thick credit card, which makes it convenient to tuck away in a wallet, purse or pocket. It has two pop-out extensions. One has a USB plug to connect to a computer or an AC connector and the other has three widely-used connectors: Apple's wide 30-pin plug and its new Lightning plug plus a standard micro USB. Packed inside the card is an internal battery with enough juice to add about an hour of life to an exhausted phone. A tiny flashlight built into the edge of the card is another nice touch. The Jumper Card is expected to sell for about $35 when it reaches the market. Get more details at JumperCard.net. The Chargekey from Nomad is even more portable as it's designed to fit on a keyring. It has a USB plug on one end of a black stalk and either a Lightning or a micro USB plug on the other end. 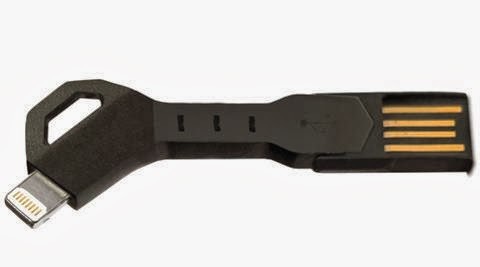 The middle section of the stalk is flexible rubber, which helps you make a snug connection. Both versions sell for $29 at Nomad's website. Both were on back order when I last checked. The Torso cable does double duty and a charger and a display stand. Like the Chargekey, it has a USB plug on one end of a short cable and a micro USB connector at the other end. (A version with the Lightning plug is under development). The cable also has a pair of flexible legs that let you use the Torso as a display stand for a mobile phone when you're watching a video or having a video call. It can also be a tripod for timed snapshots. The Torso costs $15 and is available for pre-orders at RichardTracyBrand.com. 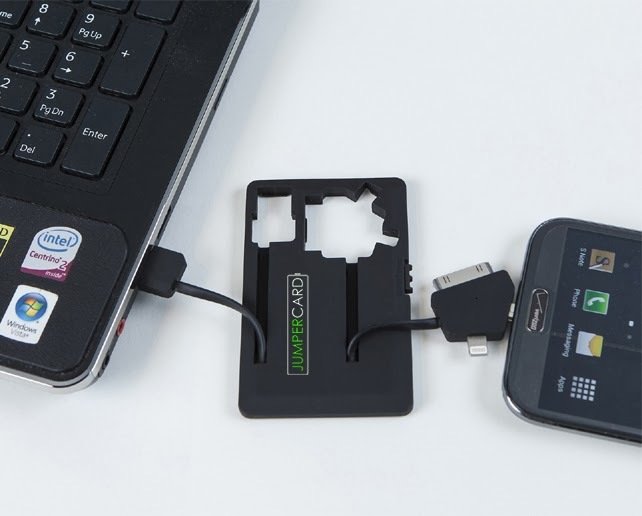 Thank you for posting this blog, your procedure for charging mobile phone battery through Jumper Card is really help full for all. This service also available with Shopsecurity service.